Areas that Mr Garlati will explore include: what solutions and best practices a company can adopt to turn Consumerization into a competitive advantage; the widespread lack of a strategic approach to the Consumerization of the mobile enterprise; the productivity of the mobile workforce; and the effect of Consumerization on enterprise mobility and mobile security. Mr Garlati will reference the findings of the ‘Trend Micro Consumerization Report 2011’, in relation to consumerization and its unfolding consequences. 74% of respondents already allow employees to use personal devices for work-related activities. The majority of end-users favours these devices because they are easier to use, more convenient, and allow them to mix personal and work. 50% of IT decision-makers responded that companies should offer full support for employee-owned devices, with a caveat: 79% said that employees should be required to install mobile security solutions on their personal mobile devices. 69% of respondents agreed that mobile device security is a key component for protecting their IT environments from employee-owned mobile devices; with 71% of respondents consider a combination of mobile device security and mobile device management to be the most effective. Mr. Garlati will be available for interview to discuss both the results of the report and the wider themes around consumerization, enterprise mobility and mobile security. 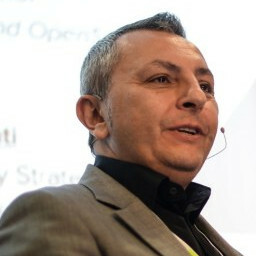 As Sr. Director of Consumerization at Trend Micro, Cesare Garlati is responsible for raising awareness of Trend Micro’s vision for security solutions in an increasingly consumerized IT world as well as ensuring that customer insights are incorporated into Trend’s mobile solutions. Prior to joining Trend Micro, Mr. Garlati held director positions within leading mobility companies such iPass, Smith Micro Software and WaveMarket – now LocationLabs. Prior to this, he was senior manager of product development at Oracle, where he led the development of Oracle’s first cloud application and many other modules of the Oracle E-Business Suite. Cesare holds a Berkeley MBA, a BS in Computer Science and numerous professional certifications from Microsoft, Cisco and Sun. (1) The survey was conducted by Trend Micro in Q2 2011. It includes 600 responses from medium and large enterprise IT decision-makers in North America, Europe and Asia.